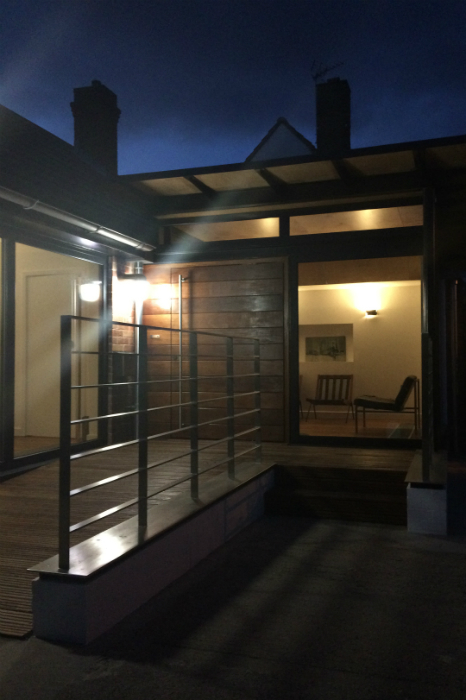 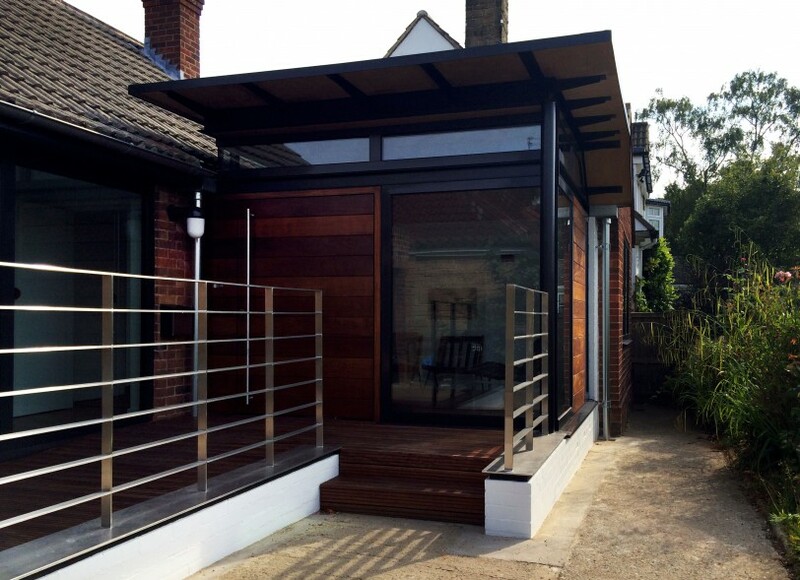 Our Client bought this 1950’s bungalow in the leafy suburbs of Harrogate which required a series of modifications due to the requirement for wheelchair access. 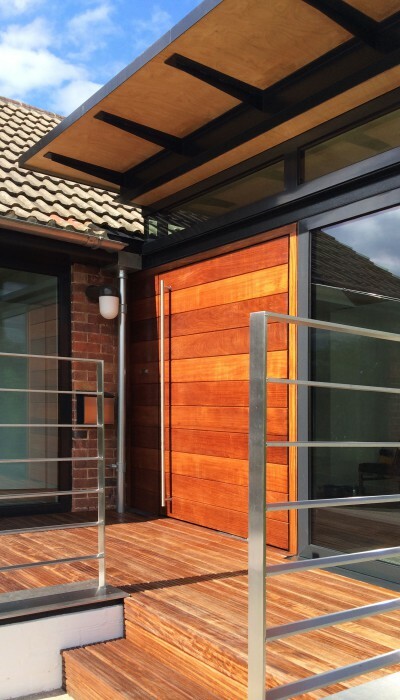 Following a series of temporary alterations, Halliday Clark were commissioned to provide a new entrance building and total refurbishment of the property to satisfy not only disabled access requirements but also to act as a showcase for the Client’s collection of 1950’s and 1960’s period furniture and light fittings. 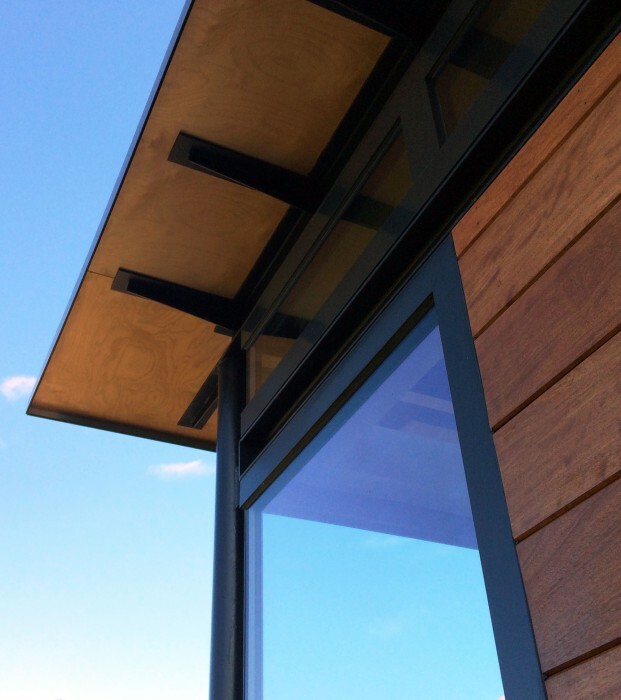 The design reflects the existing angles created by the roof profile creating a clerestory arrangement within the new entrance building, enabling the roof plane to float above the new off-centre pivot entrance door. 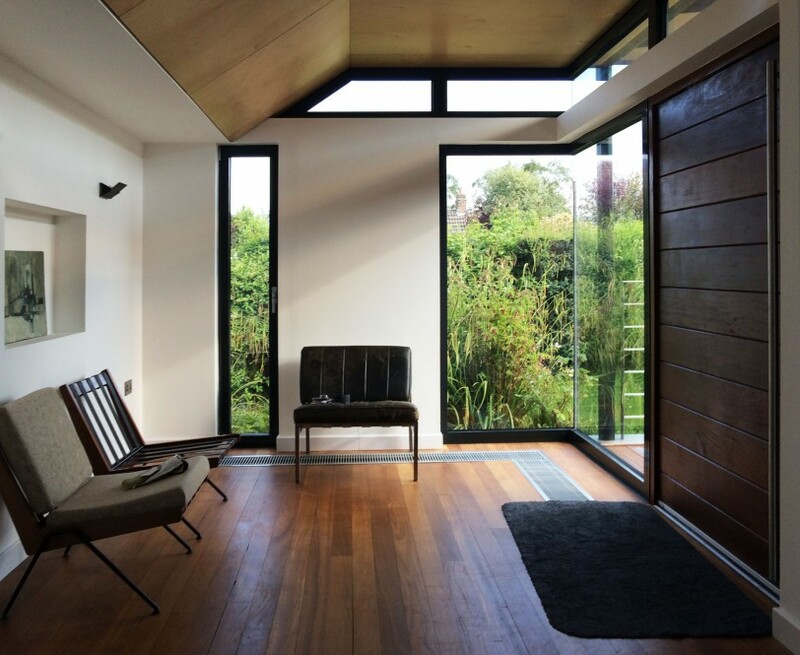 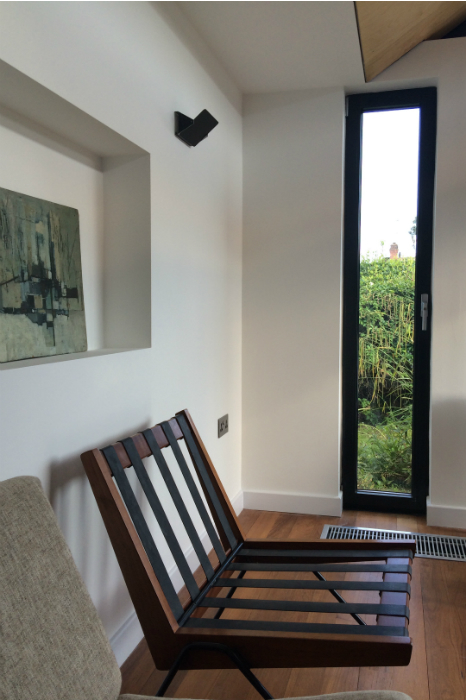 A palette of Iroko, off black aluminium and high specification glazing combines to transform the rather tired 1950’s bungalow into a highly modern building, which includes a series of sustainable features such as MVHR and underfloor trench heating.